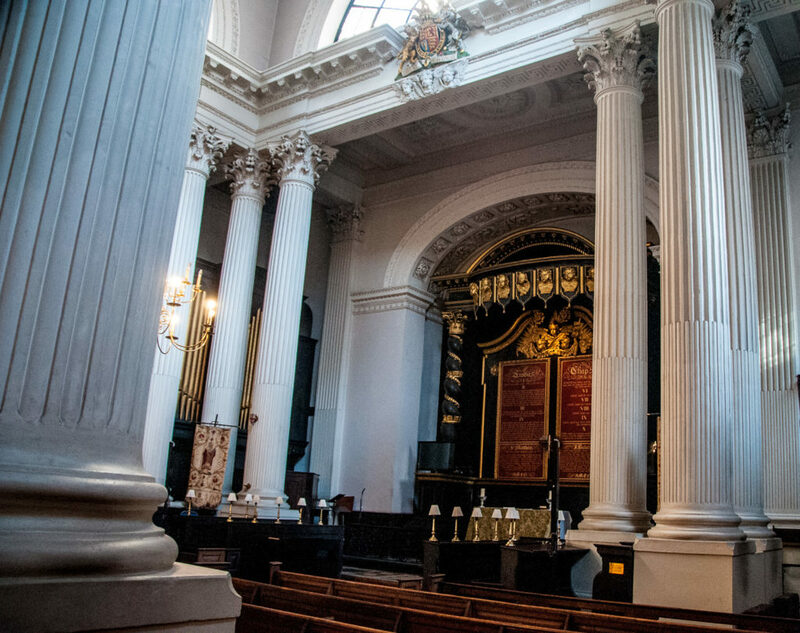 The church of St Mary Woolnoth has been lucky twice. 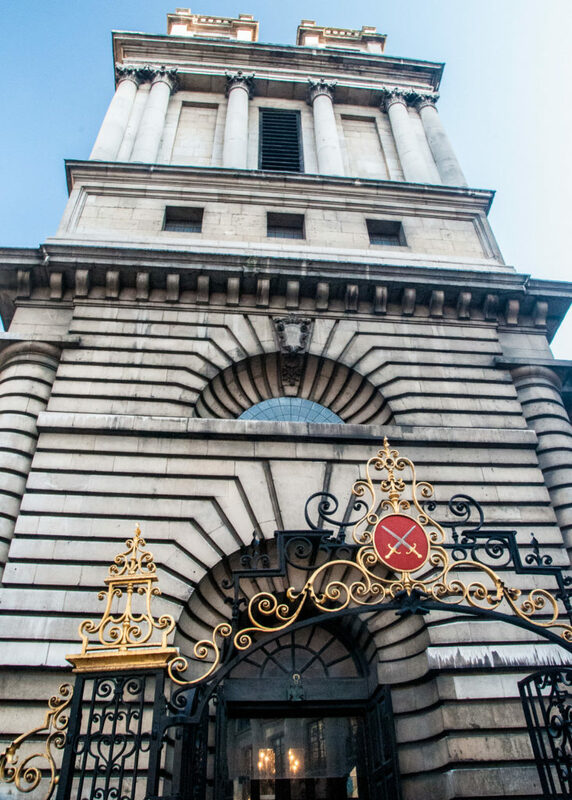 A masterpiece by Wren’s brilliant protégé Nicholas Hawksmoor, it was built between 1716 and 1727 in the English Baroque style. Amazingly, it was scheduled for demolition in 1898 in order to facilitate the construction of Bank Underground Station. A public outcry put a stop to that and a compromise was reached. 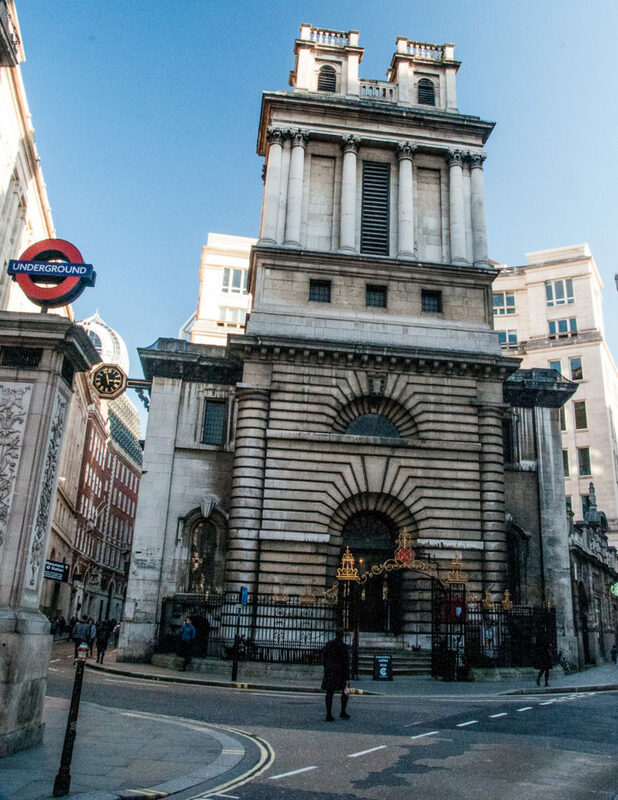 The crypt was cleared and the extended area under the church became the Underground ticket office – the church authorities collected a whopping £170,000 in compensation. First recorded in 1191, it has an unusual name. The founder may have been a Saxon noble, Wulfnoth, or alternatively, the name may be connected with the wool trade. 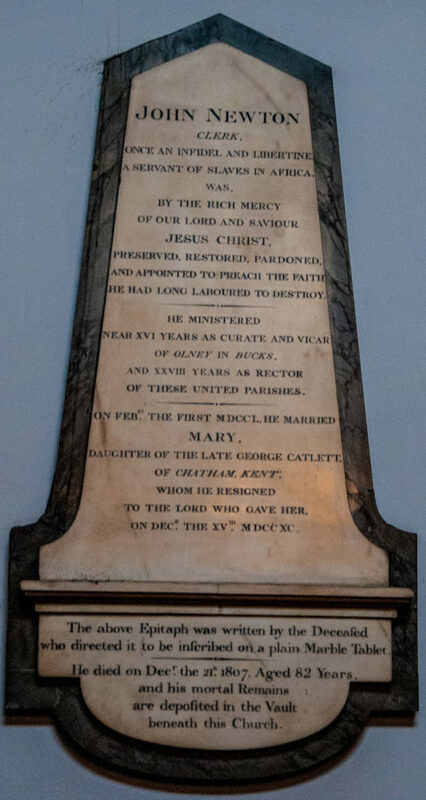 Certainly this was true of the nearby church of St Mary Woolchurch Haw, destroyed in the Great Fire of 1666 (its parish then united with that of St Mary Woolnoth). In 1785, he became a friend and counsellor to William Wilberforce and was very influential himself in the abolition of slavery. He lived just long enough to see the Abolition Act passed into law. 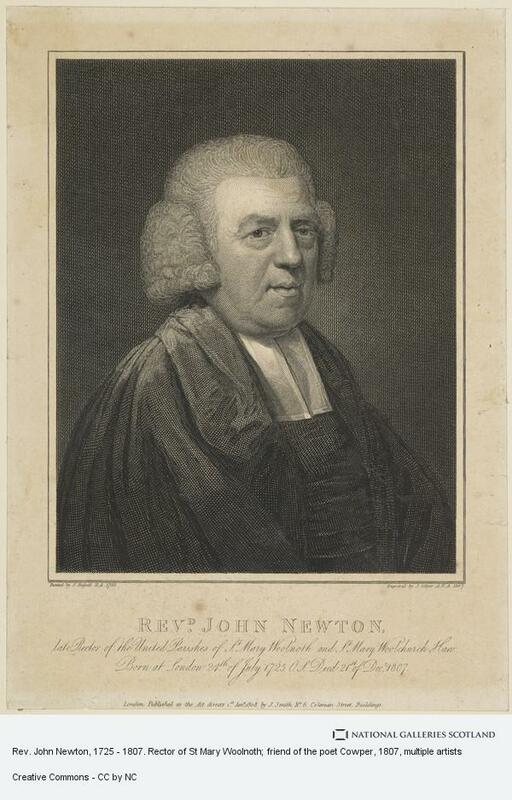 Think of him also when you hear the hymn Amazing Grace, which he co-wrote with the poet William Cowper in 1773. 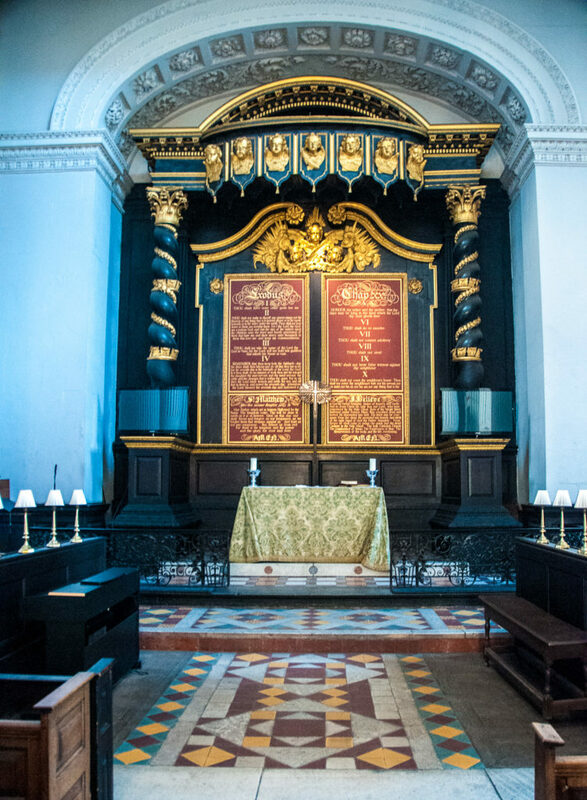 The small, square, tranquil interior was regarded by Simon Jenkins as the ‘most remarkable in the City, the majesty it conjures from a limited space’ .. 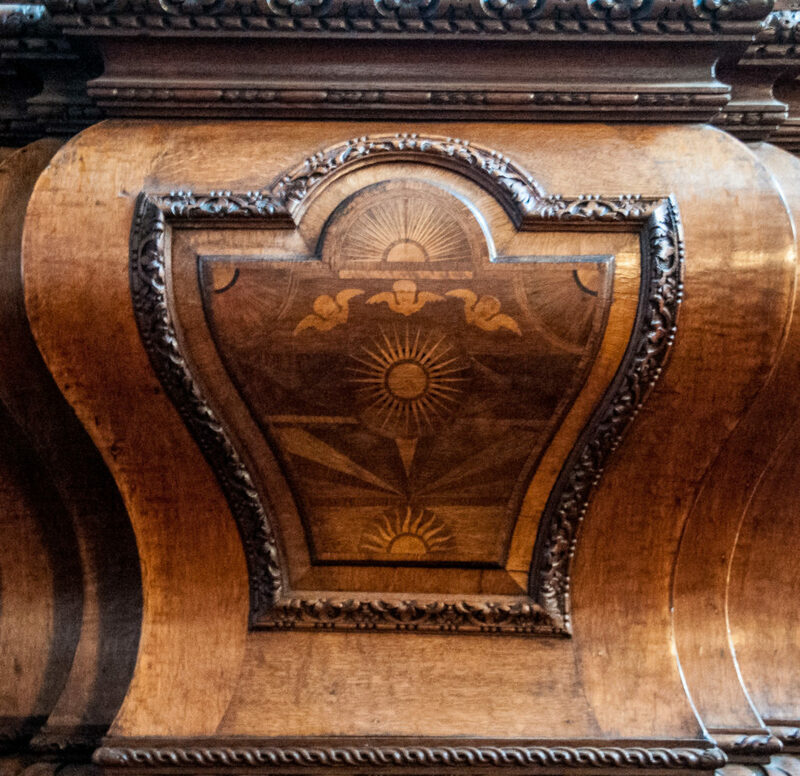 The plaque, in the shape of the end of a chest tomb, incorporates a bright coat of arms with the motto ‘Survive and thrive’. William’s grandson was buried in Highgate Cemetery and the plaque describes where to find his resting place. 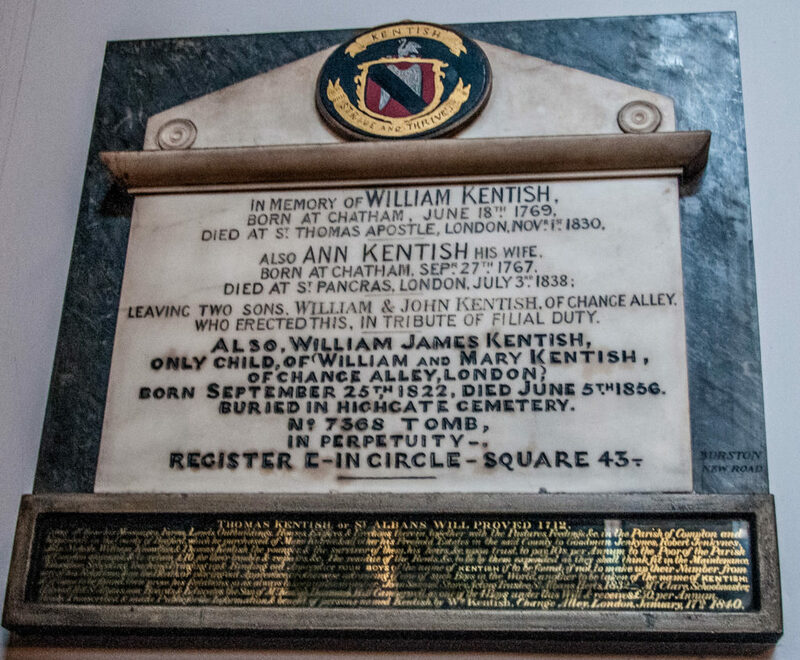 Beneath is a note of the will of Thomas Kentish of St Albans (died 1712) which arranges for the education etc. of four boys, ideally named Kentish. 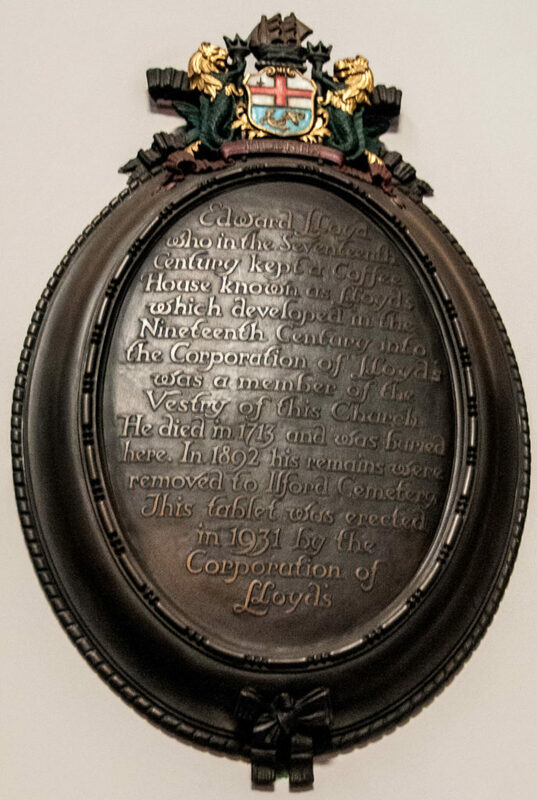 The miniature coat of arms at the top is held by two tiny lions and, although it was placed here only in 1931, to me it does look appropriately 18th century. No doubt if you were not at the office by the ‘final stroke of nine’ you were going to be late. 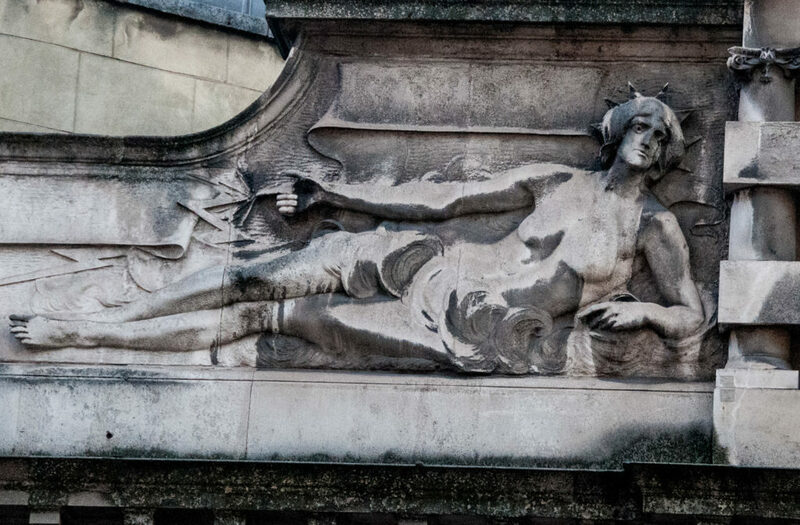 And finally, have you noticed these figures around the corner from the church in King William Street? I used to think they were connected to the church but I was mistaken. 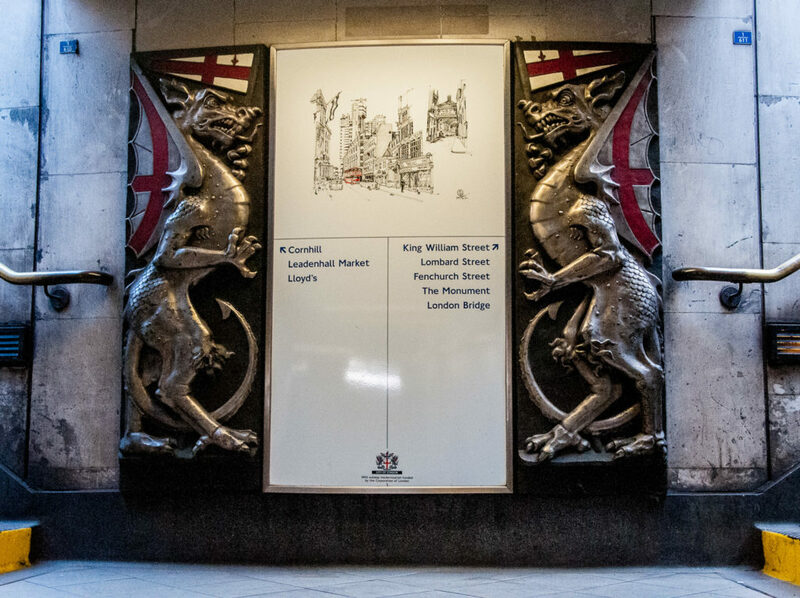 They were, in fact, created in 1899 to enhance the entrance to the Underground Station. 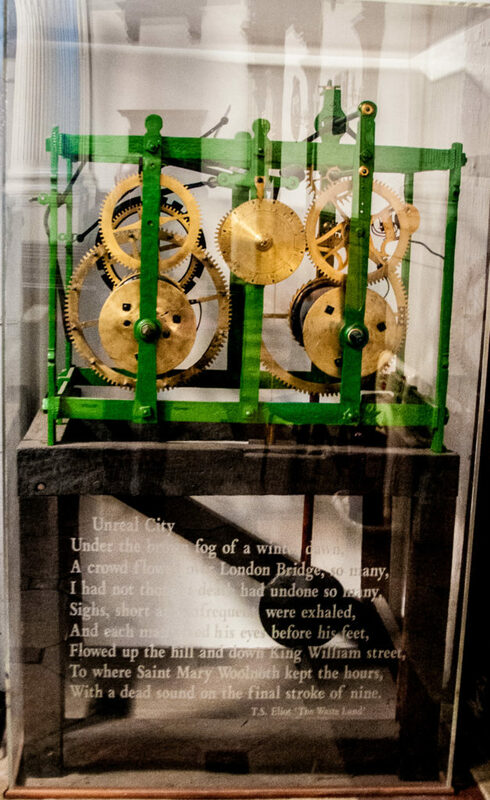 Bank was the terminus of the City and South London Railway – the first deep level ‘tube’ in London and, indeed, the world and the first to use electric locomotives. She wears a spiked crown, is surrounded by thunder clouds and shoots lightning bolts from her extended finger. He represents Speed. He is wearing his winged hat and sandals and holding a caduceus. 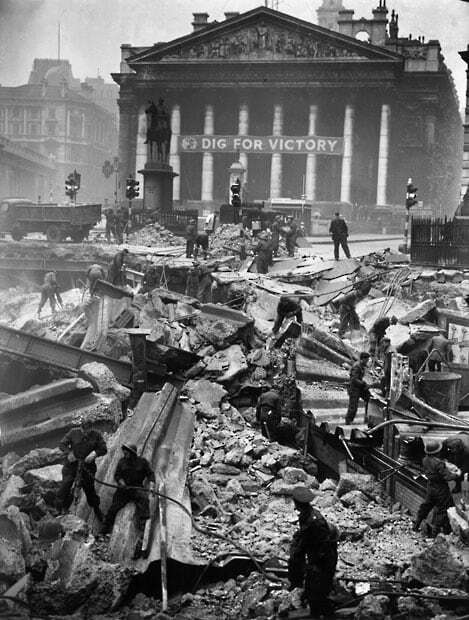 The architect was Sydney Smith who designed the Tate Gallery at Millbank and the sculptor Oliver Wheatley. 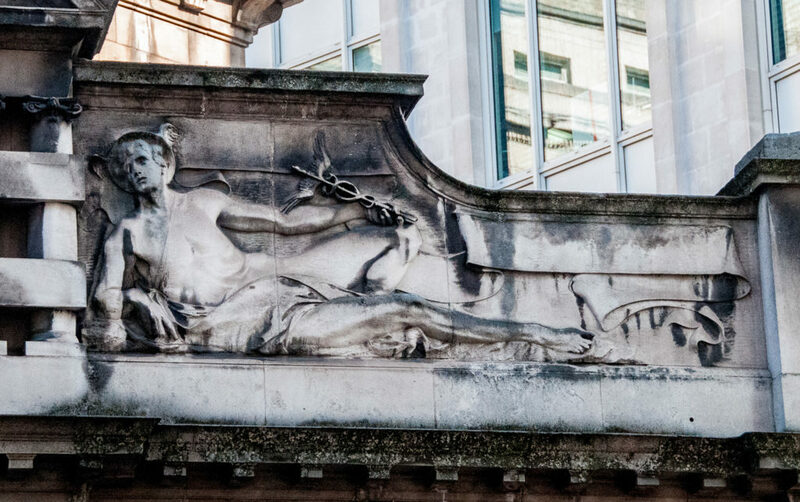 At first glance, the City of London looks the epitome of the modern business metropolis, with soaring new buildings by important architects and bustling streets, restaurants and bars. 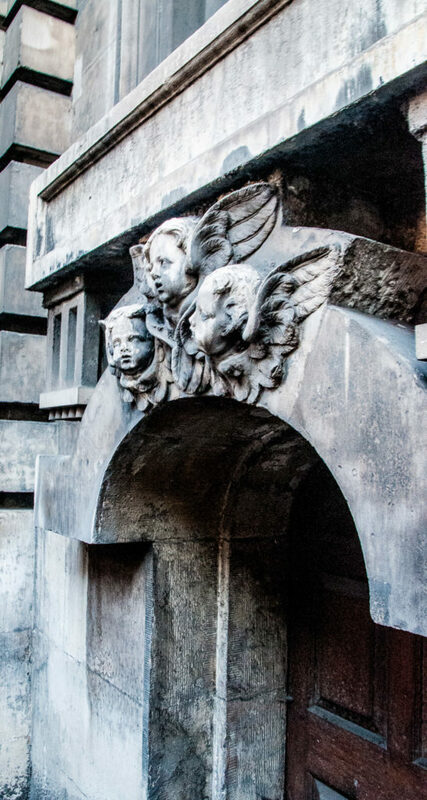 On closer inspection, however, it is full of wonderful clues, symbols and (sometimes mysterious) evidence of its past history stretching back almost 2,000 years. Unauthorized use or duplication of these words and pictures without written permission is strictly prohibited. Excerpts and links may be used, provided that full and clear credit is given to Symbols & Secrets with appropriate and specific direction to the original content. For almost 30 years now I have either worked in the City of London or within walking distance and am now incredibly lucky to be living there. During this time I have become more and more curious about some of the things I have seen and their stories and backgrounds. Now with more time on my hands, every week I promise to share with you something I have discovered that I hope you will find intriguing, informative and hopefully make you smile.